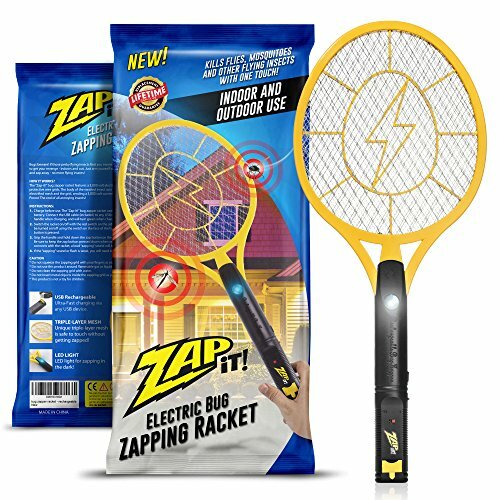 🥇Best Bug Zappers for Mosquitoes 2019 | These products will change your life. Buzz…Buzz… This sound will drive anyone crazy! 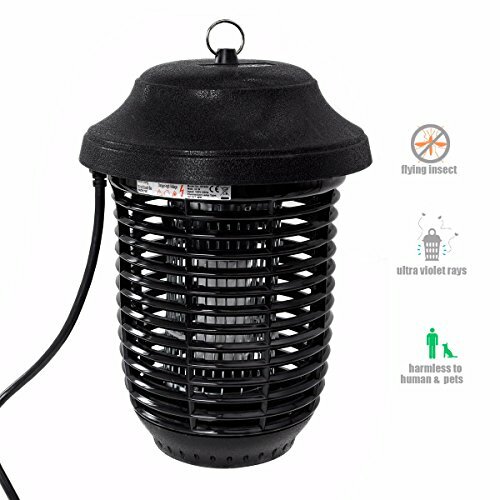 Luckily for you, we have compiled the list of the best electric mosquito killers that will help you get rid of flies, mosquitoes, and other insects, so you do not have to listen to this sound again. With such devices, you will not be BUZZered anymore. Great for many types of insects, this portable fly swatter/mosquito killer is powerful enough and effective, and is capable of destroying several pests in one fell swoop without the use of harmful sprays in the house. And you don’t have to worry about charging this device – all you need are two AA batteries. Looking for a portable fly swatter, but you want to find something smaller? Then this model will suit you perfectly, in addition, it is equipped with built-in LED lighting for night use. It works on rechargeable batteries, so you do not have to worry about replacing the batteries. 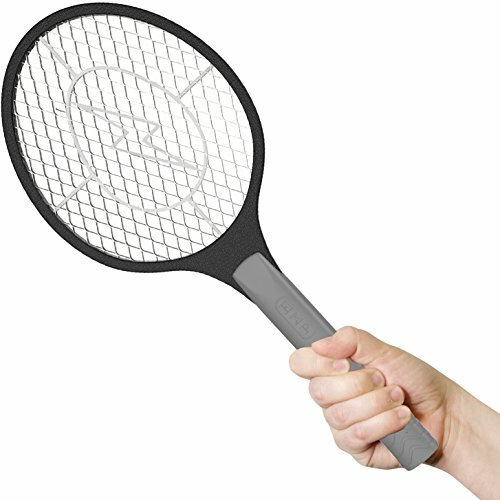 Hang this electric fly swatter at your table, patio, or tent, and you will not even hear how it works. Fully charged, its battery pack is able to feed the fly swatter continuously for just over three hours, and thanks to its design this fly swatter will adorn your yard. 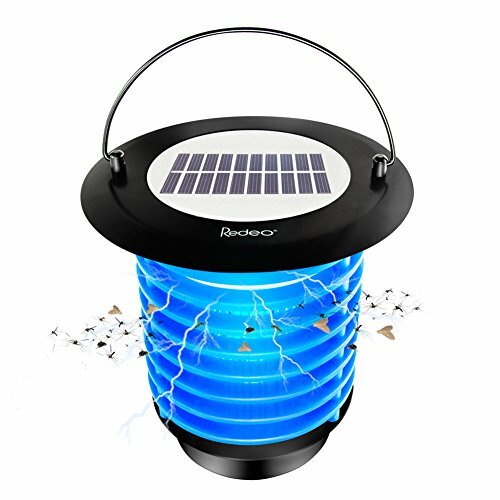 This solar powered Redeo Solar Bug Zapper is ideal for outdoor use because it does not need an outlet. It uses a solar panel to absorb the energy of the sun and charge, so you can go anywhere with it. 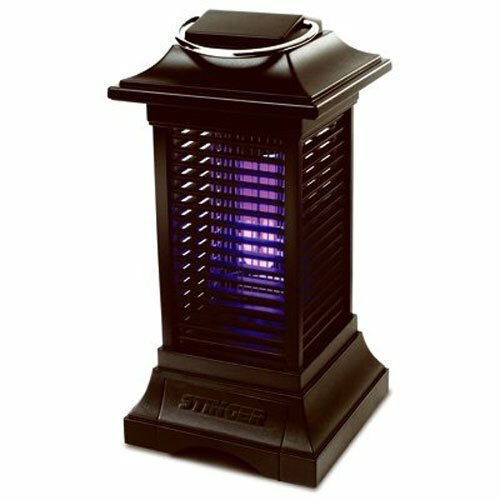 This mosquito killer is equipped with an ultra blue light that automatically turns on and off, thus luring mosquitoes and hitting them with a 900-volt charge. What is most surprising? With a fully charged battery, which can be charged both from the sun and from the USB, it can work up to 8 hours. As long as it is connected to a power source, this “all-weather” insect killer will work in almost any weather conditions. Its attractive ultraviolet light attracts mosquitoes and covers 6.000 sq feet, and it works very quietly. “Teza Products Insect Killer even kills my neighbors’ bugs.”, one reviewer says. Tip: To clean this fly swatter, it’s best to use compressed air! With this Flowtron mosquito killer, there is no need to worry about often maintenance, because it has a non-clogging killing grid. It attracts insects with a powerful lamp, a can cover 1-1/2 acres. Right now this is the most popular and the best-rated mosquito killer with more than 8000+ customer reviews on Amazon. 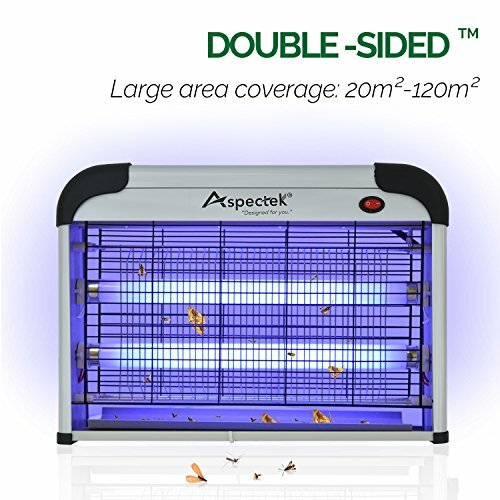 Aspectek 20W is the perfect choice if you are looking for a wall-mounted mosquito killer that does not break the bank. 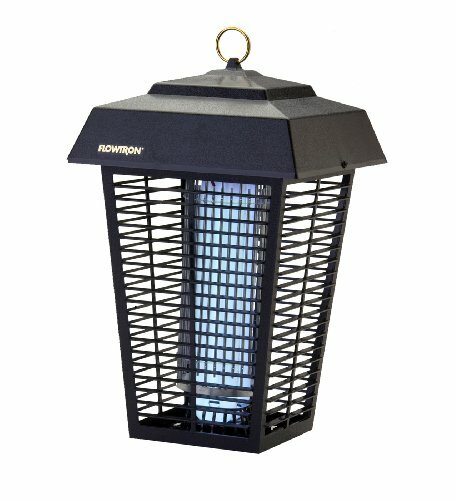 Ultraviolet light attracts insects at a distance of up to 6000sqft. So, this device is able to cover even large houses or storage facilities. With each silent killing blow, the insects fall into the collection tray, which you can easily remove and clean. For security reasons, it is surrounded by a protective net.